I have been counseling individuals and couples in the Bay Area since 1981. In addition I taught prospective psychotherapists for 18 years at U.C. Berkeley Extension and advanced psychology graduate students for four years at New College of California in San Francisco. I also supervise interns and provide consultation for licensed therapists. I am a Clinical Member of the California Association of Marriage and Family Therapists and a member of The Psychotherapy Institute in Berkeley where I serve on the Clinical Services Committee. I work with adults, individually and as couples. The relationship we develop will help you to find a safe, welcoming space to explore your inner world and find healing. Great Therapist. “I have collaborated with Susan Berger over a number of years and can heartily recommend her as a therapist for both individuals and couples. Susan is direct and real, warm and compassionate. One her her particular gifts as a therapist is her ability to both work deeply with people and to help in the kinds of practical ways that people often yearn for. She has a specialty working with couples who are in distress – including those dealing with extra-marital affairs – but works highly successfully with individual clients as well. I recommend her highly. Susan conducts therapy with great care. “I have known Susan Berger for over 15 years. We have been in various professional groups and consultations groups with each other over that time. I have also referred couples and individuals to her over the years. Through these associations I have developed a deep appreciation and respect for her and her work. Susan conducts therapy with great care, attention and precision. She has a way of getting to the heart of the matter without overlooking all the nuances, complexities and paradoxes of being human. She is smart, talented and is always expanding her understanding of both theory and practice of psychotherapy. For her, therapy is a passion and a calling. I know I can refer to her without reservations, which is so valuable to me. I recommend her highly. “Ethnicity and Family Therapy,” Book Review, THE THERAPIST, November/December 2006. “The Bridge Dialogues Across Cultures,” Book Review, THE THERAPIST, September/October 2006. Letter to the Editor (regarding extramarital affairs), The Therapist, July/August 2013. “Prozac: Another Viewpoint,” Letter to the Editor, FORT DA, THE JOURNAL OF THE NORTHERN CALIFORNIA SOCIETY FOR PSYCHOANALYTIC PSYCHOLOGY, Winter, 1996. “First Session” and “You Discover Your Subjectivity,” (poetry), THE PSYCHOTHERAPY INSTITUTE JOURNAL, Winter 1994. “Chronic Fatigue Syndrome, A Self Psychological Perspective,” THE CLINICAL SOCIAL WORK JOURNAL, Spring 1993. Letter to the Editor (regarding child abuse reporting issues), EAST BAY CAMFT NEWSLETTER, November 1991. “Psychological Functioning and Physical Illness,” An Interview With Jeffrey Anderson, M.D. THE CALIFORNIA THERAPIST, January – February 1991. Letter to the Editor (regarding effects of illness on psychological functioning),THE CALIFORNIA THERAPIST, September – October 1990. “Navigating Life”s Transitions,” OPEN EXCHANGE, September – October 1993. “Breaking up is Hard to do,” RECOVERING, August 1992. “Why is it so Hard to Change?” OPEN EXCHANGE, October – December 1991. “Greens,” (short story with themes of child abuse and alcoholism), INNISFREE. May – June, 1990. “Working With Affairs”Bay Area Psychotherapy Training Institute, March 17, 2018. “Affairs to Remember,” The Psychotherapy Institute and The Association of Family Therapists of Northern California, March 6th, 2011. “Talking With Children About Infidelity,” interview with Susan Berger and Josh Coleman, Ph.D, KISS 98.1 F.M. January 17, 2010. 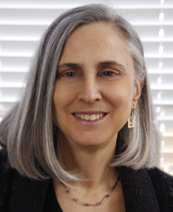 “Judy Berlin” Dissociation and the Denial of Desire, Psychotherapy Institute, May 2003. “Black and White Thinking, A Psychoanalyst Reconsiders Race,” Therapy Network Meeting, Facilitated discussion of Neil Altman”s article, April, 2002. “Daniel Stern’s Interpersonal Infant and the Severely Disturbed Client,” San Diego, Paper delivered at the Self Psychology Conference, 1999, San Francisco Psychotherapy Research Group Friday Afternoon Seminars, 1999 and Self Psychology Association of the Bay Area, 1995. “Listening to Patients: Medication in the Context of Relational Therapy,” San Francisco, Mt. Zion Psychiatric Grand Rounds, June, 1996. “”What do I do With This Anger?” Relational Uses of Countertransference,”Oakland, East Bay CAMFT Conference, 1995. “Self Psychology,” EB CAMFT Chapter Meeting, February 1995 and the Marina Counseling Center, (1991). “Post-traumatic Stress Disorder,” First Vallejo Hospital, January 1995. “Counseling and Psychotherapy as a Career Option,” College of Notre Dame, Alumni Resources and Turning Point Center, 1991 – 1993. “Case Consultation Groups,” Self Psychology Association of the Bay Area, 1994. “Chronic Fatigue Syndrome, a Self Psychological Perspective,” paper delivered at EB CAMFT Conference, and the Psychotherapy Institute Case Conference, 1991. “A Gestalt Therapist Becomes a Self Psychologist,” paper delivered at East Bay Women”s Therapy Network, 1989.